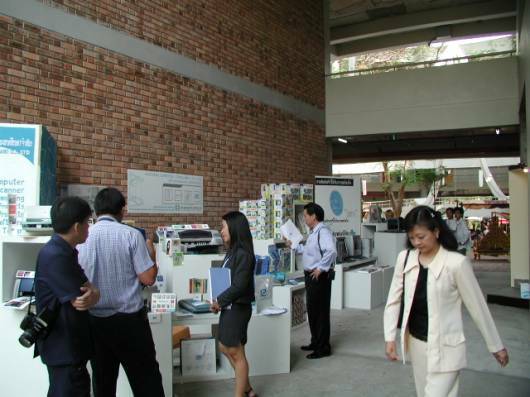 The Festival was one of the largest held at Chiang Mai University. 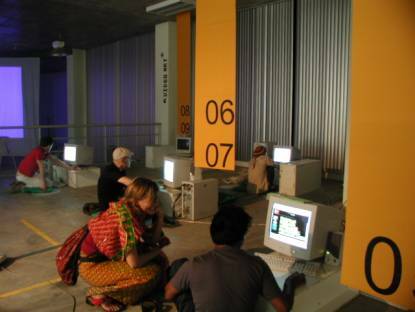 There were 3 simultaneous exhibtions over a 12 day period, 6 large screen video projections (over 3X4 meters), 6 large screen televisions and some 40 computers networked to each other and to the Internet. In addition there were daily 1-2 hour screenings of selected video art at the CMU theater. Over 200 individual works were selected from over 500 submissions from artists representing all continents. Works were accepted from 150 artists and 12 visiting artists who were funded to travel from Europe and Australia to give over 20 workshops to some 150 attendees. 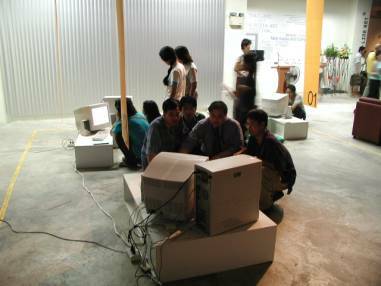 Most of the exhibits were accessable via the local network and the Internet. Over 4000 visitors attended the Festival and the Festival’s website attracted over 100,000 visits worldwide. The Festival was organized by ICECA (Thailand), MBC (Germany), Audiovisions (Austria). Funding was provided by several European and local institutions.